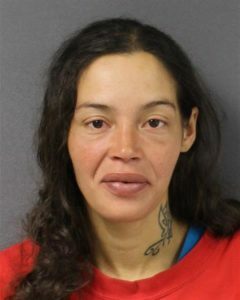 Trenton mother charged with leaving newborn inside abandoned home | Homicide Watch Trenton | Mark every death. Remember every victim. Follow every case. Prosecutors have charged the Trenton mother who left her newborn baby girl to die after giving birth to her in an abandoned home on South Broad Street, authorities said. Yardis Perez-Perez, 27, was hit with charges of manslaughter and child endangerment. Sources who spoke on condition of anonymity because they were not authorized to discuss the case said the baby girl still had her umbilical cord attached and was found on a heap of trash when investigators discovered her last week. Police found the baby dead last Monday inside an abandoned home on the 800 block of South Broad Street shortly before 6 p.m. The infant was taken into custody by the medical examiner and an autopsy, the results of which could take several weeks to get back, is being performed. Perez-Perez was nabbed Friday and being held at the county jail as prosecutors are looking to detain her until trial. Her detention hearing is set for Wednesday. Yardis Perez-Perez was arrested and charged in 2016 with Jonathan Pacheco-Sanchez and Rosa Pacheco with the robbery of 46-year-old man who was allegedly beaten over the head with a board and had his cellphone, wallet and $25 in cash jacked. A spokeswoman for the prosecutor’s office said the case against the three was dismissed when the victim didn’t want to cooperate with prosecutors. Police have said the baby’s death isn’t connected to an April 15 incident in which a baby was found alive in a duffel bag on a porch of a stranger’s home in the city’s West Ward. No charges have been filed in that case, as the baby boy is now being cared for by child custody workers. Police released a picture of the infant’s mother hoping to identify and find her but police said last week the department hasn’t received any tips about her whereabouts. The abandoned baby cases have shocked community members because New Jersey has a Safe Haven Infant Protection Act allowing parents to give up babies within a month of being born without repercussions or questions. Parents can drop off unwanted children at hospital emergency rooms, police stations and fire stations without legal consequences, and the babies are placed into foster care.